There’s no limit to the thermal applications that Metraloop can handle. 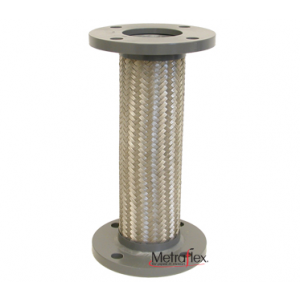 It can even be designed with lined hose for high velocity, double-braid for high pressures, and all stainless-steel construction for media compatibility. Available with +/- 1.5” movement or +/- 4” movement standard. 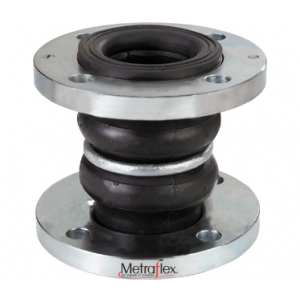 The Metraloop is the ultimate expansion joint accounting for movement in every direction and minimizing thrust and anchor loads, it is ultra-flexible and comes in a large variety of stock and custom configurations. New Vane Flex™ dramatically reduces pump turbulence and improves flow of engineered piping system. 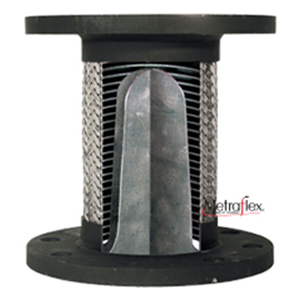 Combining hydrodynamic-shaped vanes with a flexible pump connector, the Vane Flex maintains the full range of movement of a standard flexible connector, yet, at the same time and in the same space as a standard connector, provides better flow-straightening than a length of pipe equivalent to 5-to-10 diameters. The Suction Diffuser Flex Technology consists of a specially designed set of stationary vanes placed upstream of an elbow. 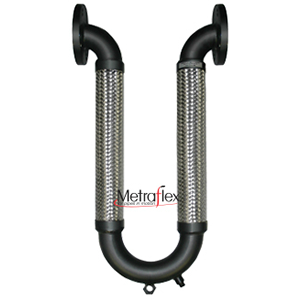 The Suction Diffuser Flex imparts to the fluid a gyroscopic motion, which counteracts the elbow induced motion, enabling the fluid to negotiate the turn uniformly and exit with a flat velocity profile. Guaranteed measurable improved pump performance. Reduced pump vibration and wear, maximizing pump operating life and helping reduce pump maintenance. 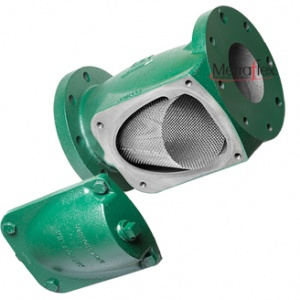 The new LPD Y Strainer provides significant energy savings over the old Y strainer. 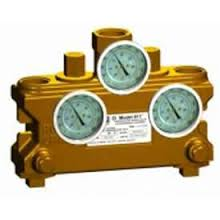 Has a lower pressure drop. Lawler has a 911, 911E, & 911E/F. Uses would be combination showers & eye/face wash units. Max intermittent offset from centerline is 3/4" and max permanent offset from centerline is 1". Carbon steel flanges. Corrugated hose & braid is 300 series stainless steel. 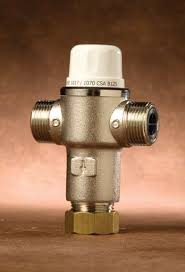 This valve is easy to install, economically priced, and offers a range of temperature settings from full cold to 115°F. It can be installed with or without cabinets, is resistant to tampering, and protects against scalding and chilling. 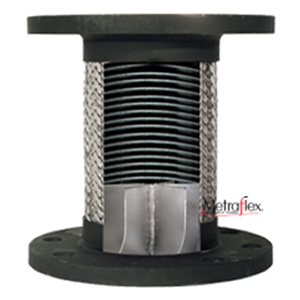 This rubber expansion joint has an unique shape and longer length increases acoustic resistance and dampens hydraulic surge and shock. Options include EPDM, Neoprene, Butyl, Nitrile, & Hypalon. 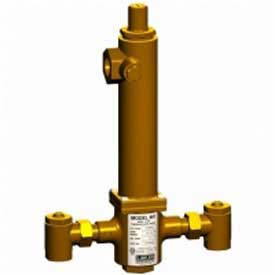 Lawler has an 801, 802, 803, 804, & 805 high-low mixing valves. Options include a cabinet and additional shutoff valves. 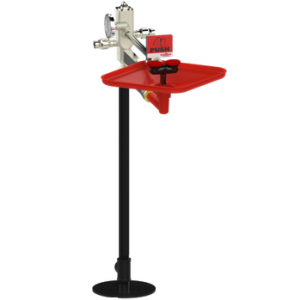 Eyewash stations suited for various locations and situations.